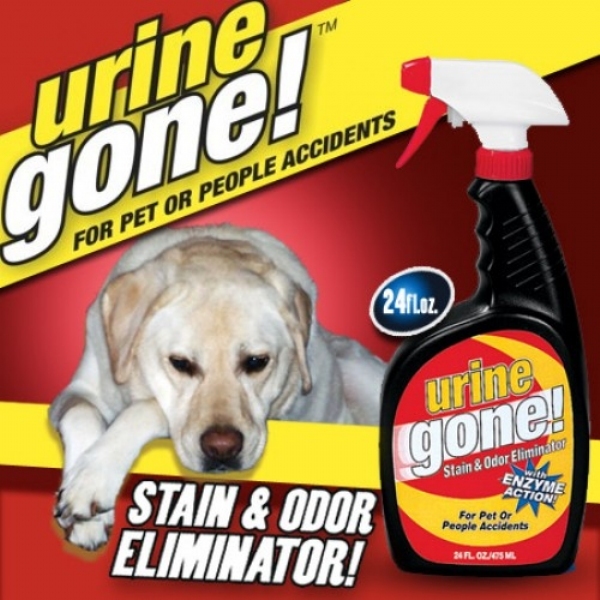 Eliminates Urine Stains And Odors! This worked great on a room-size rug I thought I&apos;d have to discard. Cat - need I say more. Love this stuff. We had a very difficult, cold winter, and I have an old dog. She had several accidents right inside the back door. I tried everything, but the odor and stain(s) still there. I used Urine Gone once and the stains need one more application but the odor was gone! Urine Gone is the best of its kind on the market! I used on my rug. I have an older dog and recently she has been having many accidents in the house. Usually its the same spot, I applied the urine gone, its been 3 days now. There is no odor and she hasn&apos;t gone to that spot since. Hmmm, I hope this keeps her away.